At Express Cash for Cars, we offer free car removal services across all Melbourne regions. We pick the car up for free, without any charges and offer you instant cash in return. We provide reliable and free car removal service for any type of cars, truck, van, ute, 4×4, SUV and much more! At Express cash for cars our team is ready to take away your unwanted vehicle and offer top cash in return. Our pick-up services are free of cost. There are no hidden charges for pick-up! You get the exact amount that has been quoted to you on the phone call with our staff. And much more, whether its running or not, Working or not as long as a complete car we’ll buy it instantly. Our team offers quickest car removal that only takes 1 minute to organize and up to 10 minutes to pick it up. We are fast and can be at your premises by this afternoon picking up your unwanted car that have been taking up space. A major benefit is that we pay instant cash when picking up your car. Well, if you want to find out our most unique attribute as a car removal company in Melbourne, you should go through our customer reviews. Our customers have walked away with happy faces on every transaction with Express Cash for Cars. Our trained team will deal with your queries instantaneously and effectively. We are professionals in the field of car removal. We will pick your vehicle up for free and provide you with a complimentary quote for your car when you call us. We know how much your car is worth and that the amount you’ll receive at Express Cash for Cars. We will offer the most optimum price to you for the removal of your car and take it away from you without any hassle. If you just want to get rid of your car, call us! We will give you a stress-free experience. Customer satisfaction is our main priority. Don’t wait anymore! Get in touch with us on phone or via the “Get a Quote” form on the top right corner of the page. 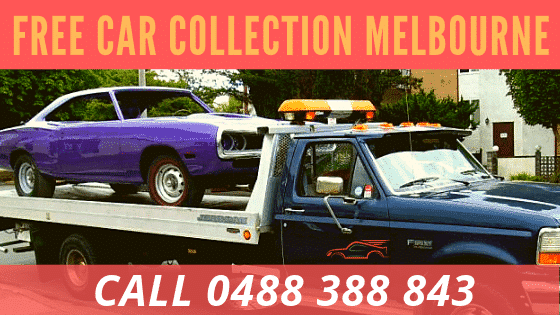 Call us now on 0488 388 843 for the best premium and free car removal service in Melbourne.